It is Odie reporting in again from the beautiful state of Arizona. Friday was a very hectic day that ended with a wonderful service. Some of the folks from Riverdale had an accident on the way here and we are praising God for moving in the whole situation. The choir came on to service and God touched and blessed. Dad will let you know more details later but thank God for His help. We have had a fabulous week at City Reach in El Mirage. I can not describe in words how awesome the services have been. I wish all of you could have experienced them first hand with us. We love being at Desert Cove Assembly with Pastor Noah and Sis. Carla Martinez! They are a bundle of fun to be around. Bro. Noah keeps us laughing. Sis Carla is a wonderful anointed singer and a lot of fun too! I enjoy singing with her when we are here. She can hit high notes I only can dream of reaching. It is a blessing to have so many friends here at Desert Cove. We have been visiting here 13 years. From our first visit in October of 2002 many of these wonderful people have been like family to us. This visit it is wonderful to add new friends from the community. I have a funny story to tell you today. I love Dr Pepper (It is now Diet Dr Pepper) but I absolutely loathe Root Beer. I hate when I order Dr. Pepper at a restaurant and the waitress says, "We do not have Doctor Pepper but we do have Root Beer". What is up with that? Dr. Pepper and Root Beer are not even remotely close in taste. Here is the funny part. My Dad got confused on which drink was my favorite soda. For a long time when we would go somewhere that offered Root Beer Dad would get me Root Beer. He thought he was getting me a special treat. It was so sweet and special because it was from him. I did not have the heart to tell him I hated the treat. I would quietly get a different refill later. Mom finally told him after several years that it is Dr. Pepper I love. Dad felt so bad to have been getting me the wrong drink all that time. Most things are better when it comes from my Daddy! We laugh about it now. While typing this post Dad gave me something else he always gives me. 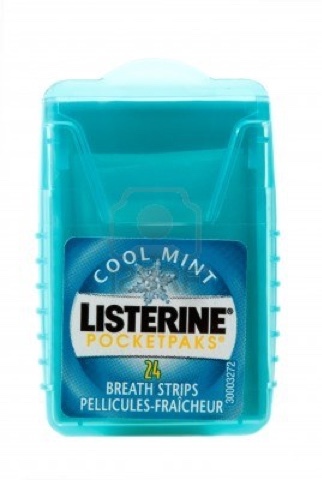 He carries Listerine Strips and for some strange reason I get the empty containers. I find them on my pillow, in my purse and even in my shoes. Why? I have no clue. What am I, the empty container disposal? I just have to laugh about it. Thank you for reading today and have a good weekend. I must go throw this Listerine Strip container away.